Through Andrea's research and understanding she recognized that mammals are beneficial to humans in a way never imagined. Andrea grew up with pets with exact birth times. When she was 8 years old she fell in love with horses and horseback riding. Later on she had an opportunity to study a drove of full blooded Arabian horses with rather good birth times over 20 years – and her mare joined this group 16 years ago. In addition she was a horseback riding teacher for several years during her university years. Therefore it was deeply revealing for her when she had opportunity to get an insight into the Design of Mammals. She was able to correlate all of her experiences of living and working with mammals and their relationships to humans. Through this understanding she recognized that mammals are beneficial to humans in a way never imagined. 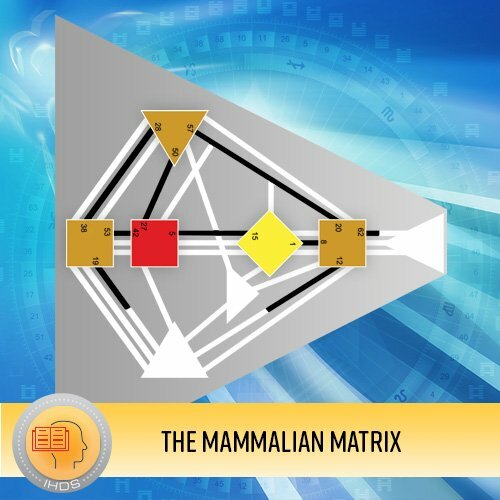 This 11-week self-study course explores the calculation, the Matrix with its centers, channels, gates & lines and the relationship between humans and mammals. This self-study course includes 11 classes.